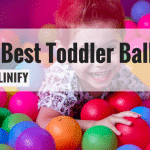 Many small trampolines aren’t durable enough for a hard workout, and this makes the selection process difficult. 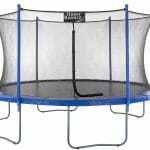 If you’re on the market for a trampoline that will help you get in shape, the JumpSport Fitness Trampoline Model 250 may be exactly what you’re looking for. JumpSport is one of the leading manufacturers of trampolines, and they’re trying their hand in creating innovative workout equipment. The result is something truly spectacular, and it’s a marvel of modern technology. 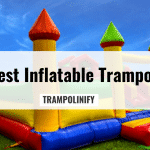 Not all workout trampolines or rebounders are created equal, and JumpSport is here to up the standard. This trampoline only comes in black, and it’s double coated in order to help the finish last. The frame itself is 29 inches in diameter. The rebounding spring bands are covered by a special covering pad that’s designed like folding pedals. This helps prevent shifting or dislodging while vigorously jumping, and also keeps you from sliding off of the edge of a solid plastic coated spring protector. 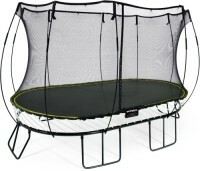 This trampoline uses rebounding spring bands, called EnduroLast 2 cords. The jump pad is attached with 30 of these EnduroLast cords, which are rated for up to 1 million jumping cycles. 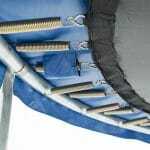 Using these instead of metal springs makes your workout trampoline safer and a little quieter. When bouncing vigorously, you won’t need to worry about the jump pad making contact with the ground, or the springs being stretched out with regular use. This size makes it a great fit for indoor use. If you don’t have yard space, you’ll need a trampoline just like this one. It also works great in apartments or condos. 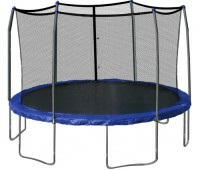 Garage home gyms will work perfectly with the JumpSport Fitness Trampoline Model 250. Because the size is so compact, you can even use it in your bedroom or living room. If you intend to use it outside, it’s easy to move this trampoline onto a shaded patio, screen room, or deck on days when the weather is bad. This trampoline is designed to hold up longer that similar workout trampolines. 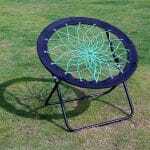 It doesn’t have springs or a slippery spring pad, and it’s rated for high intensity exercise. You can run, jog, or jump in place without fearing a spring will pop out on you. This is an indoor/outdoor trampoline. You can put it wherever you need the space. Because it’s so small, it can easily be stored under a tall bed, or flipped sideways and stored vertically in a large closet when it’s not in use. The pedal design of the skirt that covers the EnduroLast 2 bands is incredibly safe. It’s textured, so you won’t slip. It’s in several individual “petals”, so it won’t rotate or slide while in use like some single piece spring protector pads. This is a unique safety feature that improves the overall jumping experience. EnduroLast 2 cords will last longer than springs, and may even be safer. When doing a high intensity bounce or jog, springs will slowly warp over time and cause the jump pad to sag. 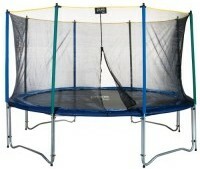 This can render your trampoline useless. If a spring snaps or dislodges during the workout, this can actually become dangerous. If an EnduroLast 2 cord is broken, it won’t fly at you. No dangerous exposed pieces of metal or projectile springs here. 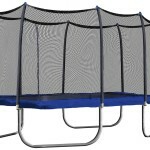 This workout trampoline utilizes a unique innovation called FlexBounce III technology. With this technology, you can actually adjust the tension of the trampoline. If you want deep bounces or a small rebound, it’s easy to tune it up yourself. This makes this trampoline essentially multifunctional. 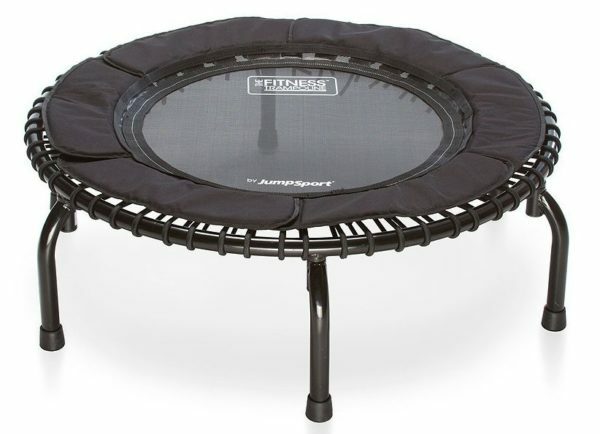 Most rebounders sit on straight legs, but the JumpSport Fitness Trampoline Model 250 actually comes with arched legs. These legs offer better stability, and help absorb some of the shock from your rebounds. It keeps the center of gravity on the jump pad, so you can bounce without the trampoline moving or sliding around. Even though this trampoline comes with rubber coated legs, it may still damage delicate flooring. If you have unfinished hardwood or ceramic tile, consider placing it on a gym mat before you use it. This will protect your floor from any scuffs or dents associated with a rigorous workout. This workout trampoline requires some assembly, but it does come with all of the hardware you’ll need to set it up. It takes less than an hour to put together. It doesn’t collapse or fold up, but it can easily be taken apart and reassembled if you need to transport it to a different location. There’s no realistic way to replace EnduroLast 2 cords after they’ve broken. They’re difficult to break and designed to last a very long time, but you may be out of options after you’ve actually broken a few. You should be able to safely jump after one or two of the cords have snapped. When the rest of them go, you’ll need to get a new trampoline. 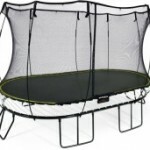 After reading the JumpSport Fitness Trampoline Model 250 Review, it’s plain to see that this is one of the best workout trampolines currently on the market. It’s designed to be safer and rugged. 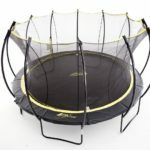 If you want to rebound with a medicine ball for your Crossfit WOD, or you just want to get in some low impact indoor jogging, this trampoline is exactly what you need to help you get in shape. It’s a little on the pricier side, but you get what you pay for. Some traditional rebounders cost double what this model costs, so the value for money demonstrates itself. 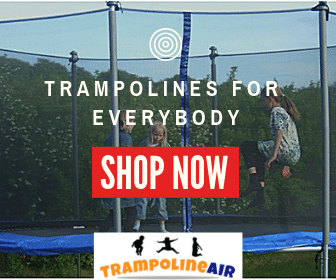 If you’re ready to get in a calorie burning, muscle toning workout from the comfort of your home, you can’t go wrong with the JumpSport Fitness Trampoline Model 250. It’s like having your own personal gym. 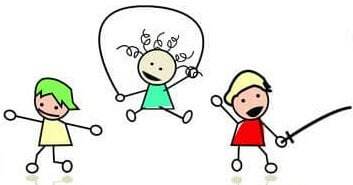 Get fit and have fun.